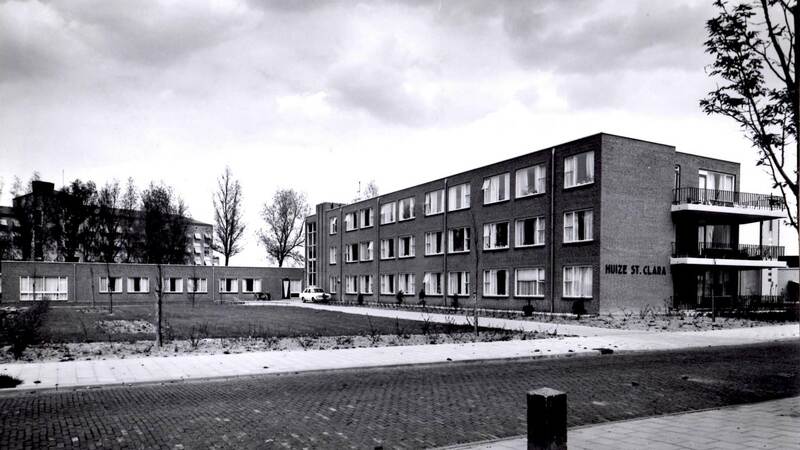 As part of the “Oog voor de Buurt “program, an initiative of the Ministry of Foreign Affairs and Kingdom Relations and the Chief Government Architect is by PEÑA architecture Design studies on nursing home St. Clara Gorinchem. 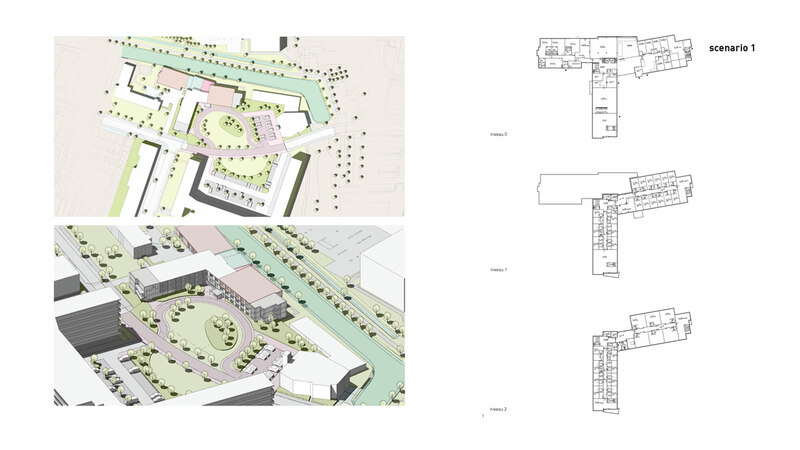 The purpose of design research is to develop scenarios that focus on conservation, transformation and construction of St. Clara and the public space in the immediate vicinity of the nursing home. 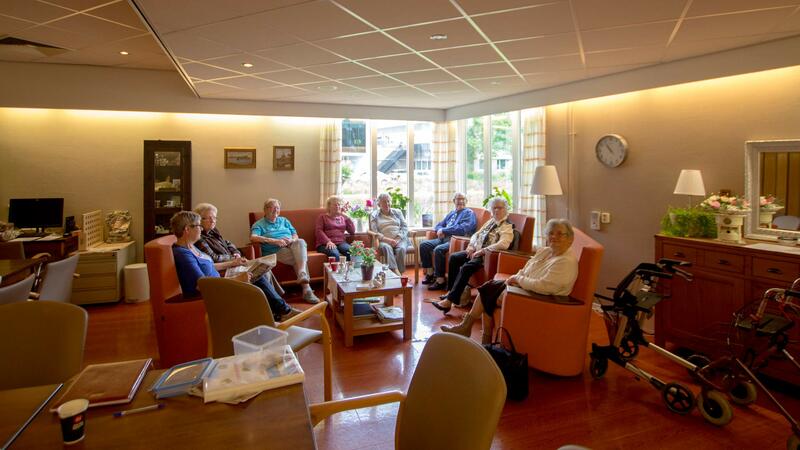 The study was developed in collaboration with employees of the municipality Gorinchem, of care group Rivas and housing Poort6. 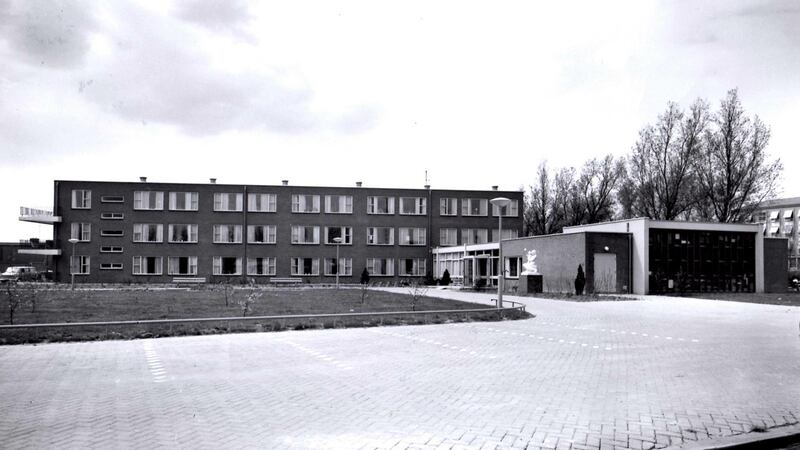 The nursing home St. Clara was built in two phases. The first part consisted of the Western and South Wing. On the east side there was a large chapel. In the second phase has been reduced to the chapel and moved, and realized the East Facade. 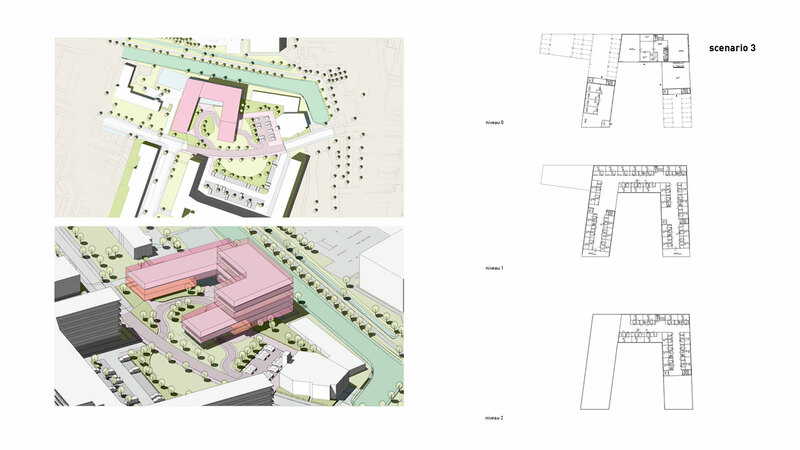 The total building covers 4,114 sqm. It has a small cellar and a maximum of three floors. 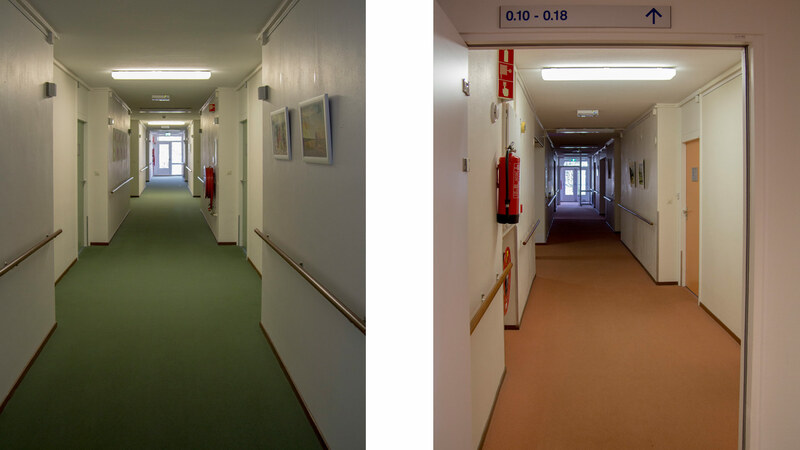 In the situation of the nursing home St. Clara it was important to balance the needs in focus. 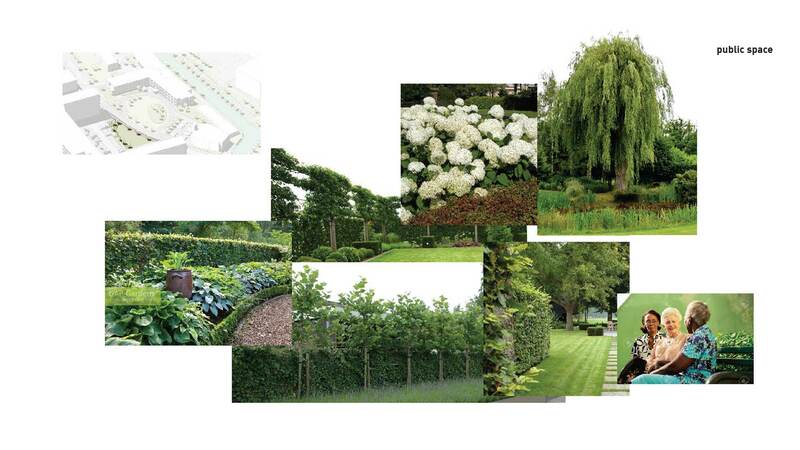 It is essential to take based on those needs to a good and broad-based program of requirements. The analysis of needs is wide-ranging. Forging local coalitions with existing stakeholders provides insight into each other’s motives and common needs and values, focused on results, recognition, involvement and good communication. The scenarios for St. Clara will thus be developed based on an identified need from the coalition. 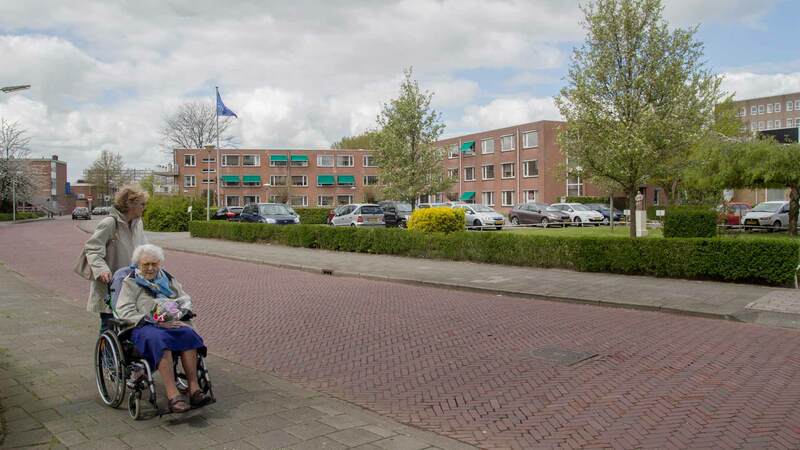 This creates a clear and achievable new earnings model / development strategy in which the public interest for nursing home St. Clara is more than just filling up empty spaces. 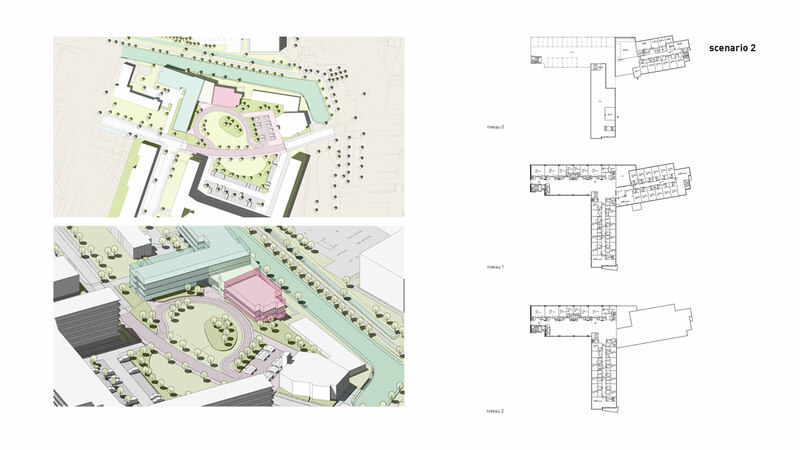 The first step is to pull across the street from the unnamed public space and create a plaza between the existing buildings. To see more space to create a lounge creates a high threshold on the street, making it feel extra square is marked. 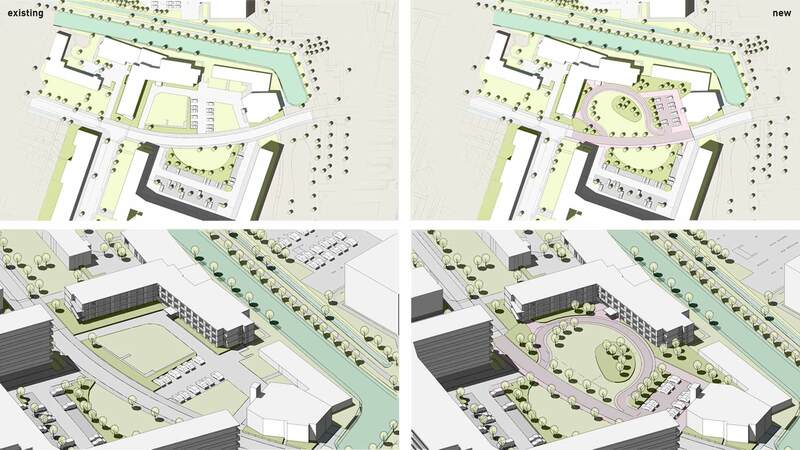 The elevated plaza will be further elaborated in order to improve the accommodation facilities and the perception around the nursing home. There will be more meeting places in the square and there is no shade which defines the square, but other divides to create multiple zones. 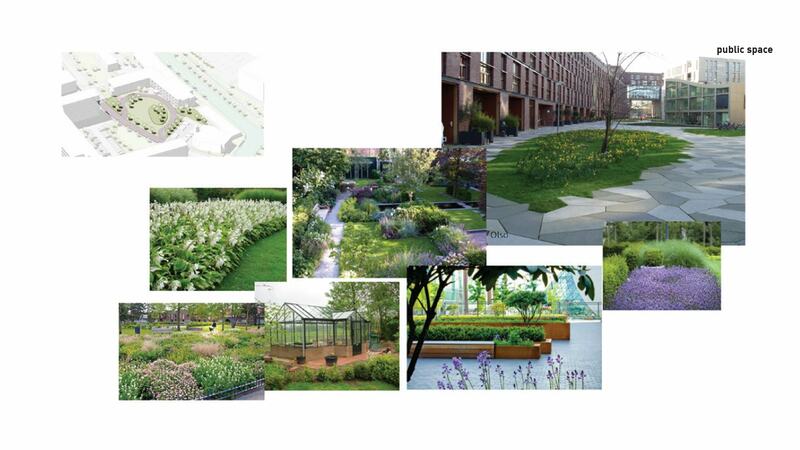 By using different materials and other paving the square will be perceived differently. In the square, new green spaces are created and by keeping the vegetation layer will improve the oversight and greater safety. 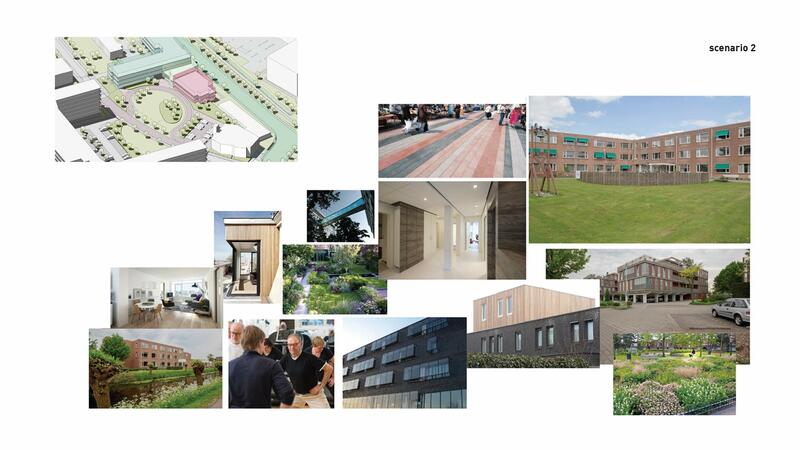 Finally could be provided to the square of a multifunctional pavilion to increase activities around the nursing home and the square. The pavilion can fulfill a social function for the area. 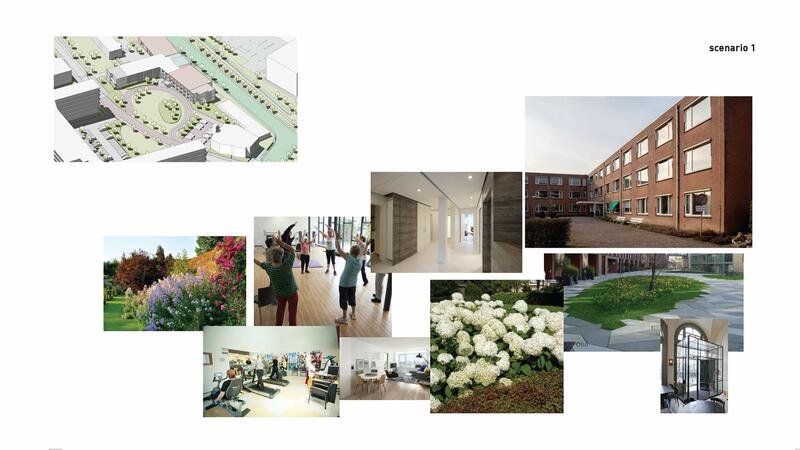 Scenario 1 assumes an educational / sporting-medical and cultural center with housing for seniors aged 70 and over, including health care. Scenario 2 assumes a function valpoli with housing for seniors aged 70 and over, including health care. This scenario is based on partial demolition in favor of a new clinic. To this end, a floor layer is added. The demolition will take place on the West Facade. This single layer wing will disappear to be replaced by new wings that comply with current regulations. Parking will be resolved on the ground floor where you will find above the new valpoli is. The latest new floor will take place on the West and South facade. This means that the South facade will be topped up. The east facade remains equivalent units but will be adjusted on the ground floor; to think of the entrance and common areas. Scenario 3 assumes demolition and new construction of residential care center St. Clara. There come before 70 residential / care units back in 11 clusters, a district health center and a meeting room (catering) on the ground floor. 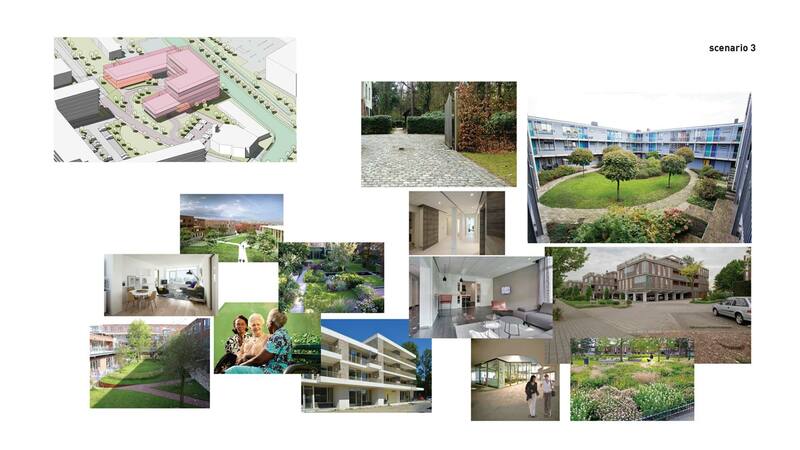 In scenario 3, the modern residential vision and care taken as starting points for new development. The new complex consists of 3 to 6 floors. It has several local facilities a health center, a community center, a restaurant with a pool table and a parking solution on site.